Sculpted by a new, more emotional, design language, the Superb takes its place at the top of the ŠKODA range. This car showcases our finest Simply Clever thinking, and is the most technologically sophisticated model we have ever produced. The new Superb includes a host of technology, safety and comfort features as standard, including: Adaptive Cruise Control including Front Assist and City Emergency Brake, rear view camera with front and rear parking sensors, fatigue detection, 8” touch screen Columbus Satellite Navigation, SmartLink smartphone connectivity including Apple CarPlay® and Android Auto™, 3-zone Climatronic air conditioning, front heated seats, electrically adjustable driver seat with memory function, Bi-Xenon headlights with LED daytime running lights and Light Assist with rain sensing wipers. Imagine a car that blurs the line between beauty and functionality. Where style and space are in perfect harmony. Where there’s room for everything except compromise. Welcome to the ŠKODA Superb. Sculpted by a new design language, the Superb takes its place at the top of the ŠKODA range. As well as being incredibly stylish, it’s also the most spacious and comfortable ŠKODA yet – perfect for family and business alike. 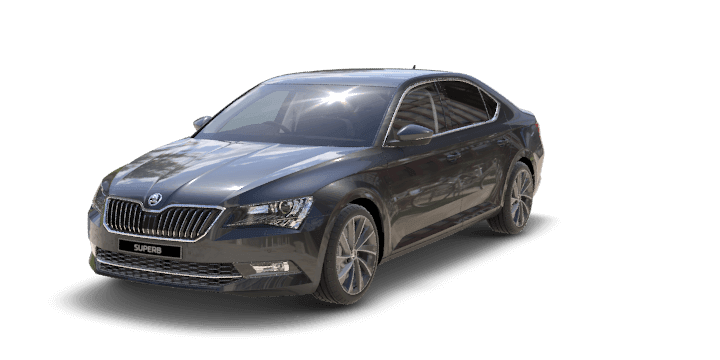 And being a ŠKODA, this car showcases our finest Simply Clever thinking, and is the most technologically sophisticated model we have ever produced. This car represents over 120 years of forward thinking, a commitment to making cars that are as much a joy to drive now as they were back when we started. Because instead of looking back on our eventful history, we use it as an inspiration to look ahead. The Superb has also been recognised by Drive as Australia's Best Family Car of the Year. For added peace of mind, all ŠKODA vehicles now come with a standard 5 year/unlimited kilometre warranty. #5 Year Warranty consists of 3 Year Factory Warranty and 2 Year Factory Extended Warranty. 5 Year/Unlimited Kilometre Warranty is available with private, general fleet and government vehicles only. Excludes rental vehicles, hire cars, taxis, courier vehicles, driving school vehicles, security vehicles, bus and tour vehicles which are subject to a 5 Year/150,000 Kilometre Warranty (whichever occurs first). Your rights under this warranty sit alongside the consumer guarantees under the Competition and Consumer Act 2010 which cannot be excluded. Just when you thought cruise control couldn’t get any smarter. Adaptive Cruise Control (ACC)◊ features a radar sensor on the front grille, allowing it to automatically brake and accelerate to a speed and distance set by you. The last thing we want to happen to you immediately after an accident — is another accident. Electronic Stability Control (ESC) helps you maintain control of the car if it begins skidding, using ABS (Anti-lock Braking System), ASR (Anti-Slip Regulation) and other special sensors to prevent slipping or locking the wheels. Here’s something you might not have seen coming. Side Assist (Blind Spot Detection)◊ helps you change lanes safely by letting you know when a vehicle is in your blind spot. If so, an LED symbol in the side mirror will light up, and start flashing once you indicate. It also takes corrective action if there is a car in your blind spot. We hope you never need the nine airbags that come standard in every SUPERB. Located at the front, front side, rear side, curtain, and driver's knee area, they help protect you and your loved ones in the event of a collision. To veer is human. Lane Assist◊ uses a camera positioned within the rear-view mirror unit to actively recognise lane markings and, if you begin to stray, take corrective action to gently steer you back on course. It will also send audible and visual messages if you need to take additional action. The SUPERB is designed to be seen — during the day, and at night. Innovative lighting systems, including front headlights fitted with Bi-Xenon technology, Adaptive Frontlight System (AFS), and LED daytime running lights, ensure you can see and be seen, at all times. The rear features striking LED lights and two reflectors on each side of the rear bumper, included as standard. Some forward thinking for when you’re going backwards. A rear view camera◊Δ, helps you back out of your driveway with peace of mind and tackle those tricky reverse parks with confidence. Sometimes you just need your space. The SUPERB offers ample room in all directions for you and your passengers. Specifically, the interior offers 1507mm in width and 991mm of headroom for the driver and front passenger. When it comes to air conditioning, it's each to their own. Three-zone Climatronic air-conditioning allows the driver, front passenger and rear passengers to set their own preferred temperature independently. At the same time, an enhanced air filtration system improves cabin air quality, reducing dust and pollen. The SUPERB will even get your seat for you. Each is equipped with electrically-adjustable driver seat with memory function — storing three separate positions of the seat and external mirrors. An electrically adjustable front passenger seat is available in the optional Comfort Pack. We’ve packed a lot of clever features into the SUPERB, but still left plenty of room for your luggage. In fact, at 625 litres, the luggage compartment is top of its class. Feel comfortable, from the bottom up. The SUPERB features ventilated cooling front seats** along with front and rear seat heating**, so you and your passengers can enjoy driving in all conditions, all year round. Buying a ŠKODA is the easy choice. Slightly harder is whether you choose Black or Beige perforated leather-appointed seat upholstery°, included in the Comfort Pack. Either way, not a bad problem to have. Combining our smart car with your smartphone was always going to be a good idea. SmartLink^^ smartphone connectivity with Apple CarPlay® & Android Auto™ seamlessly connects your smartphone to your SUPERB, mirroring your phone's display on the internal screen. So, whether you want to listen to music or receive turn-by-turn directions, you can do it all without touching your phone. You won’t be the first person to search for the parking brake. The new SUPERB is the first ŠKODA to feature an electronic version — increasing space, safety, and comfort. The Auto Hold function prevents the vehicle from rolling away at standstill or when pulling away, without you having to touch the brakes. ΔStandard on the 206TSI 4x4; included in the optional Image Pack for 162TSI and 140TDI. ΔAvailable in optional Image Pack. We couldn’t get rid of traffic — so we did the next best thing. Traffic Jam Assist◊ is a comfort function designed to help you drive in traffic jams. By controlling the engine, brakes and steering, it makes the vehicle pull away, brake and turn to copy the movement of the surrounding vehicles (at speeds of up to 60km/h). All that important information, which used to be shown on your dashboard gauges, is now brought to life in a dynamic digital display. This driving data includes, speed and fuel readouts – along with more contemporary features, like driver assist and navigation tools. Virtual cockpit available as option. Under the hood, we’ve over delivered. The all-new generation of direct-injection turbocharged engine comprises of the TSI petrol engine or if you need an all-wheel drive, there’s the top of the range 206kW TSI petrol engine. The SUPERB is a bit of a control freak. The 206TSI is fitted with state-of-the-art all-wheel drive, guaranteeing optimal driving dynamics, high levels of active safety and economical fuel consumption. The only area we’ve cut back on. 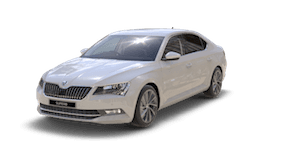 The fuel consumption and low CO2 emissions of the new SUPERB outperform its competitors. All engines feature Green Tech as standard, including a Start-Stop System and brake energy recovery, saving fuel in city driving. ##Standard on the 206TSI 4x4; included in the optional Image Pack for 162TSI and 140TDI.